The Buzz | Planet-TECH Associates: Trends. Innovations. Opportunities. 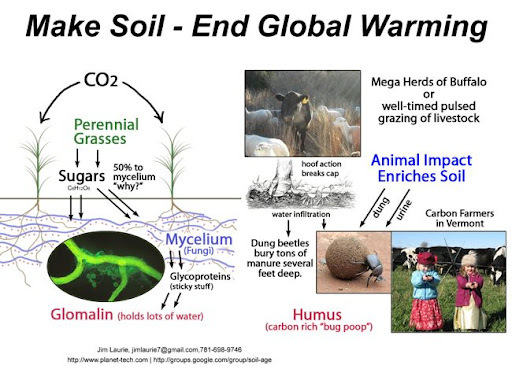 Seth Itzkan discusses grasslands restoration in Zimbabwe and it's potential to mitigate global warming through carbon capture in newly formed soil. Refutes statements made by Guy McPherson to the 350MA.org list. Improving water availability is a key reason for doing Holistic Management around the world. This is particularly true in semiarid regions where water access is often scarce. As soils are restored, water tables are replenished, rivers will run longer, and surface pools will stay longer into the dry season. This paper investigates the grazing management assessment reports authored by Briske (2008), and Holechek (2000) in light of their claims regarding methodologies for grassland restoration advocated by Allan Savory. Rebuttals to the Briske and Holechek conclusions are provided by Teague et al. (2008), Gill (2008, 2009a, 2009b, 2009c), and Savory (2000). Examples of land restoration using Holistic Management. Pictures from South Africa, Mexico, Zimbabwe & Namibia. Prince Charles comments on Allan Savory and his integrated approach to ranching and farming, and the role ruminants for the health of grasslands. Segment from speech given by the Prince to the IUCN World Conservation Congress. Full video clip is here, http://www.youtube.com/watch?v=IZhep_8aCNQ. Here's the published version of the Worldwatch Nourishing The Planet interview with Seth Itzkan. Please see the Worldwatch site to comment.